The Rails Middle School Girls team had a great season! They dominated in every meet, which culminated in winning every event at the City Meet. The future is definitely bright for the Rails high school team with all of these talented young ladies joining the ranks in 2018 or 2019. 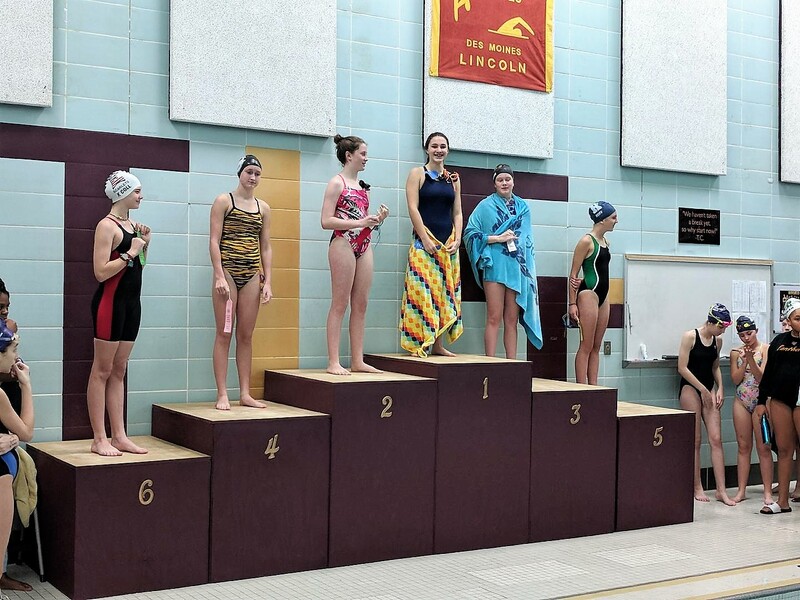 The middle school girls swim season is just a short four weeks, designed to give 7th and 8th graders around the metro a chance to try competitive swimming. If your swimmer would like to keep swimming at practice and meets until late February, be sure to contact Coach Weber to get information on the club swim team, the official feeder program for Rails Swimming. In addition to winning every event of the night, the Rails also took 32% of the podium spots! Great job swimmers! Below are few meet highlights from the City Meet. While we can’t recognize everyone here, be sure to check out the full meet results. Ripley Berg’s 39.42 won the 50 Breaststroke in a close race! Here are some photos from the meet!